Besides selecting an adequate material for your outdoor kitchen flooring, you should consider the styles matchups along with the placement and maintenance of such areas. Pick up slate or cast concrete tiles such as Cal-Ga-Crete or clean, washed concrete in integral colors. Warmth and coziness are present when you use brick or darker flagstones, washed concrete, or stamped cobblestone concrete. Old world style does not mean outdated. It means using classic architectural elements, such as repurposed brick, exposed aggregate, Windsor Cobblestone texture stamps, fleur-de-lis, and grapevine borders, along with vibrant colors and distressed finishes to create a warm family gathering place. This style evokes the spirit of the Italian countryside. Materials typically used to achieve this style include tumbled pavers, unhoned travertine, deep-washed exposed aggregate, or stone-texture stamped concrete. Bring in all the wilderness of the tropics by using flagstone or faux rock, texture-stamped concrete. One of the best ways to create a unique outdoor living space is to lay it out into different rooms. To highlight the feeling of being in a separate outdoor kitchen, consider changing the flooring in that space or adding separate steps up or down. 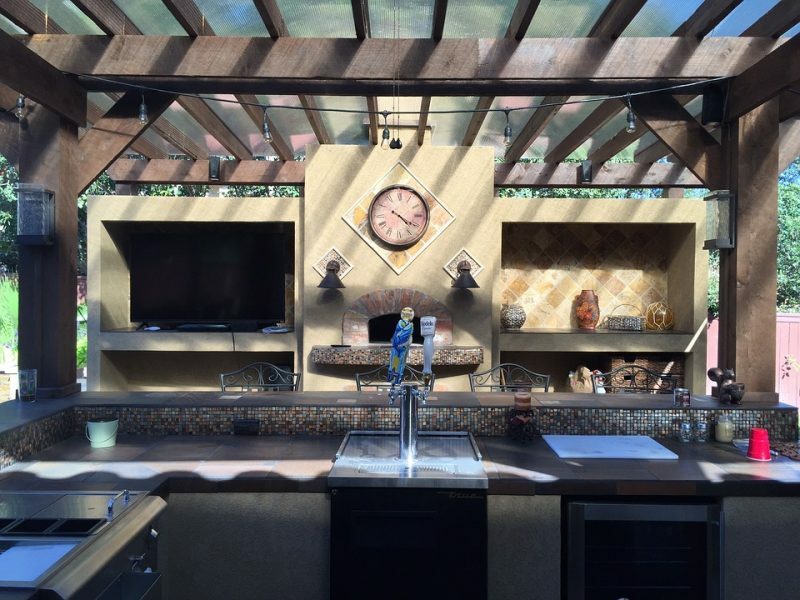 Another very good idea to define space is to use fleur-de-lis patterns to create a frame around the outdoor kitchen area. Also, using rugs designed specifically for outdoor will boost the effect of being in a separate outdoor area. Finally, you have to think about the maintenance factor to make sure your outdoor floor lasts for years to come. We recommend to carefully power wash your outdoor kitchen flooring, and make sure to apply a good quality sealer around any floor that is in the prep zone to protect your flooring from oil and wine spills. Haven’t got an outdoor kitchen yet? 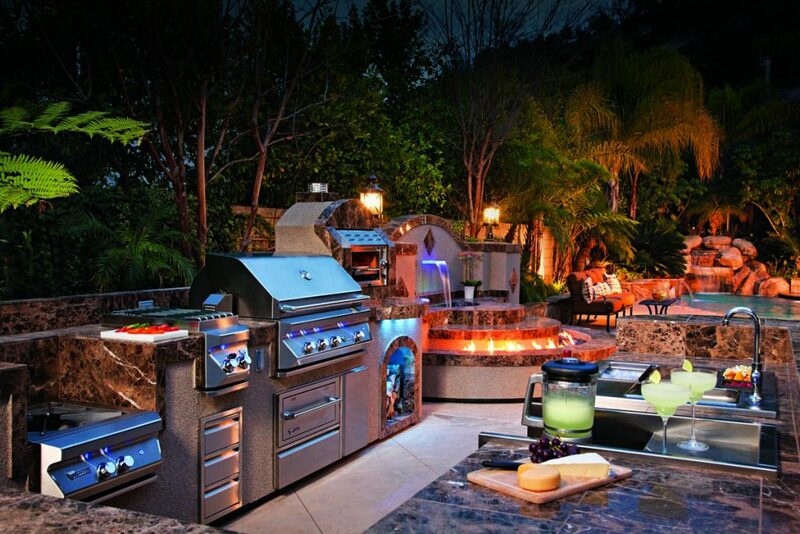 Contact Hi-Tech Appliance experts to help you build the outdoor kitchen of your dreams. You can also visit our amazing appliance showroom in Louisville, Colorado to get inspired.